The reveal for GTA Online encompassed an astonishing amount of content, from activities, to organized heists, to competitive missions. It’s ambitious on a grand scale, but it’s only the tip of the iceberg. Rockstar North President Leslie Benzies said that not only has this sort of online multiplayer playground been an objective for the developer since Grand Theft Auto III, he wants the worlds of all GTA games past and future to be a part of the experience. This will be accomplished through frequent additions to the already over-700 missions in the game, as well as the locations and cities of the other games in the series and beyond. In fact, said Benzies, the experience is set up to be practically limitless, and could theoretically encompass the entire world (that limitation being memory or disc space). Unfortunately, it was not clear whether a mic drop was performed after this statement. 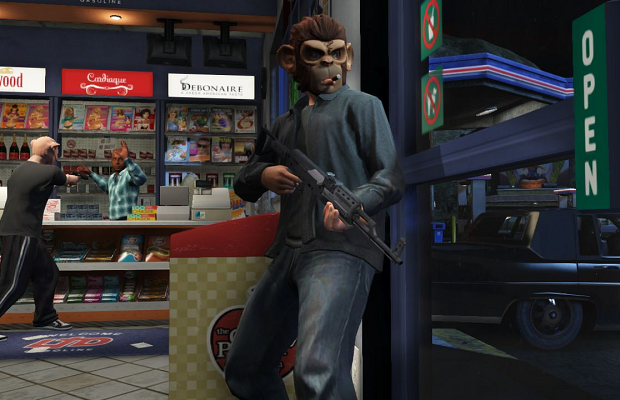 What are you most excited to see in GTA Online? Tell us in the comments or find us on Facebook and Twitter!